Construction has started on the $200 million 40-storey Brisbane high-rise apartment tower Spire, according to The Australian Financial Review. The tower, to be developed by a joint venture between Consolidated Properties and Qualitas, has the financial backing of Japanese bank SMBC. Place Advisory said that all 340 apartments in the tower have sold, in a release that was Brisbane's fastest selling in the June quarter. 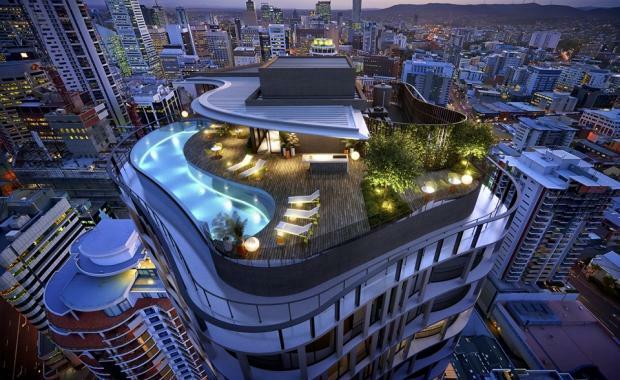 Consolidated Properties executive chairman Don O'Rorke said the Brisbane apartment market was strong. "The CBD is relatively constrained when you look at actual supply figures compared to other areas of Brisbane," Mr O'Rorke told The Australian Financial Review. "So when we were selling we actually pretty much had the market to ourselves."